...yet most of all, here we go again – another crop of new cardinals drawn mostly, like the Pope who made them, "from the edge of the world." 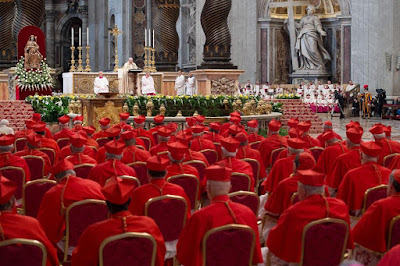 Among other benefits, the change of hour ends the routine early-morning havoc around the Vatican preceding a Scarlet Bowl, as the usual crush of far-flung pilgrims would start queuing up from 2 or 3am to ensure their spots in the Basilica. In any event, given the size of the crop – the smallest since Blessed Paul VI inducted four with his final class in 1977 (four decades ago this week) – the logistics are much more manageable than with the "mega-Consistories" elevating a dozen or more Porporati, which've been the usual case over recent decades. 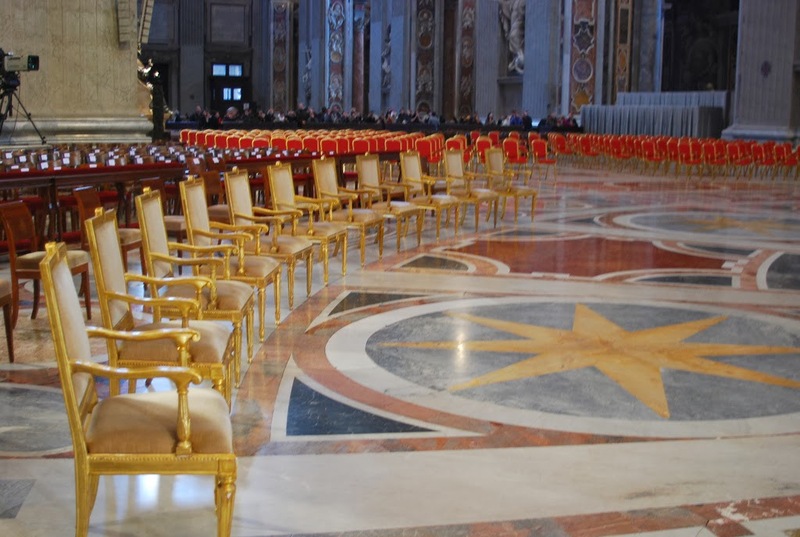 That said, for the second time running, the entire College has not been summoned to Rome for this week's doings, and the daylong consultation both Francis and Benedict XVI have usually held with the body likewise won't take place again. 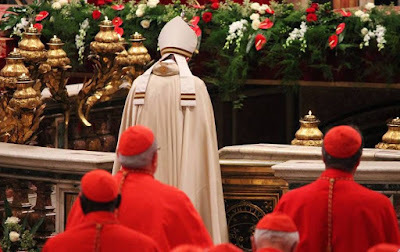 While no one should be surprised that the session's absence has been ideologized in some quarters, in reality the rationale is the result of Francis' procrastination. Unlike the pontiff's first two classes – which were slated several months in advance – both last November's intake and this one were decided upon at the last minute, and having once been a cardinal an ocean away with better things to do than upend a full schedule for a long flight and week in Rome, convoking the global College on a month's notice is a practice the Pope has been resolutely determined to avoid. As an example of the haul, though many US and Latin American red-hats have direct flights or something close, among more recent creations, Tonga's Cardinal Soane Paini Mafi – the first ecclesial "prince" to be given the island's minority fold of 15,000 Catholics – has to make three or four connections over a 24-hour trip and, despite being a relatively young 55, collapsed while making the journey for Curial meetings in April. Yet speaking of the "peripheries" which form this pontificate's philosophical core, this Consistory marks a particularly salient milestone: while Francis will have chosen forty percent of his successor's eventual electors once the new crop's names are formally pronounced at the rites, another stat puts the new shape of things in an even clearer context – with this wave's additions of Mali, Sweden, Laos and El Salvador, Papa Bergoglio has named 13 cardinals with voting rights who are each the first representatives of their home-countries in the College. Still, even that doesn't completely put the ramifications of this shift in full light... one needs a completely different angle of looking at it. And when you remember how Conclave Math works, even if nothing else changes after this morning, the "shape of the pieces" when that day comes has already shattered the mould from anything that's preceded it. 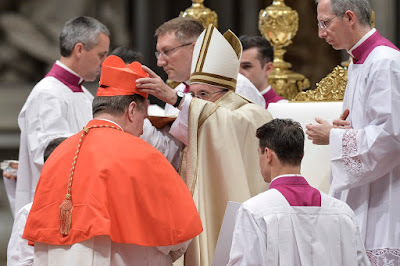 As recent history goes, each of Francis' addresses to his new red-hats ranks among the most loaded messages he's given as Pope, and another of the line is duly expected at this morning's liturgy. Until we meet, then, on 20 February... I remain at your disposal and ask you, please, to pray for me and to ask for prayers on my behalf.